Travel by air-conditioned car to the Mediterranean coast and the port city of Alexandria. Founded by Alexander the Great in 331 BC, Alexandria was the capital of Greco-Roman Egypt and a centre for learning in the ancient world. Its legendary Lighthouse was one of the Seven Wonders of the World and the city was also the setting for the fiery relationship between Cleopatra and Mark Anthony. 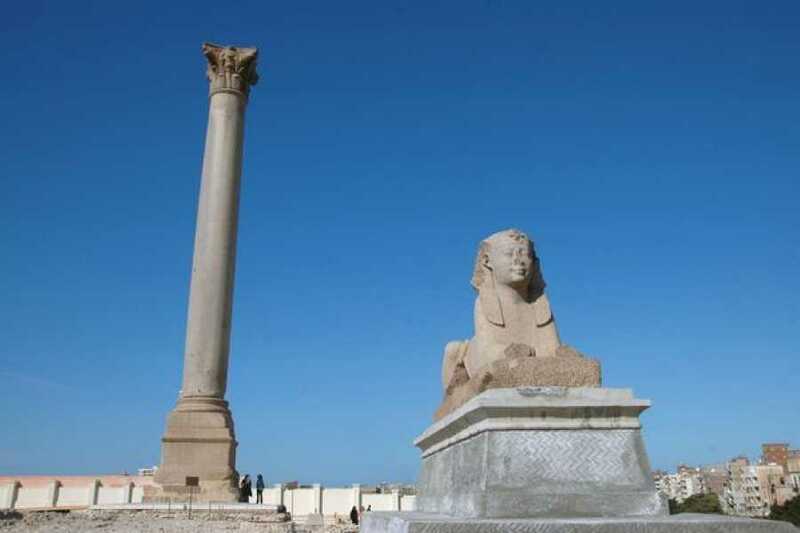 As you explore this vibrant city with your guide you will discover some of Alexandria's most famous sights including Pompey's Pillar, an 82-foot tall column carved from red Aswan granite and erected in honour of Emperor Diocletian. 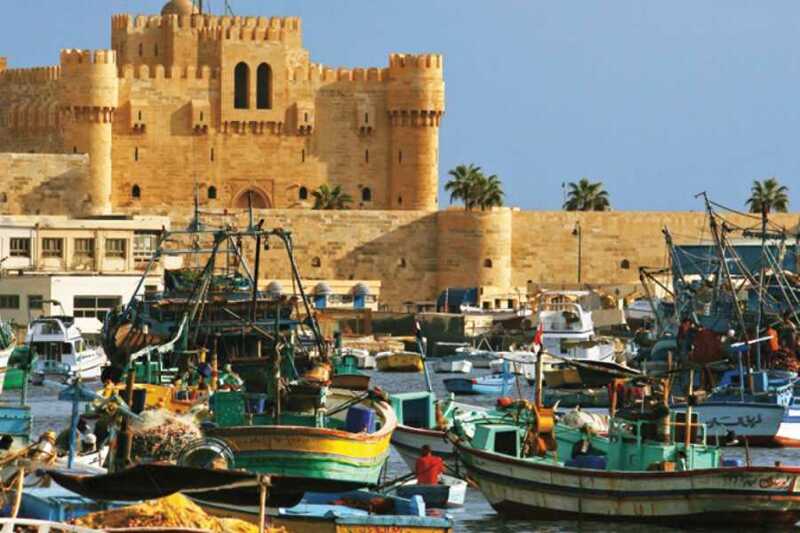 View the ancient Roman amphitheatre which dates from the Second Century Enjoy lunch at your own leisure on the Corniche overlooking the Mediterranean head to the Catacombs of Kom-el-Shouqafa. Arguably the highlight of any visit to Alexandria, this warren of tombs, chambers and hallways occupies the largest known roman burial site in Egypt. 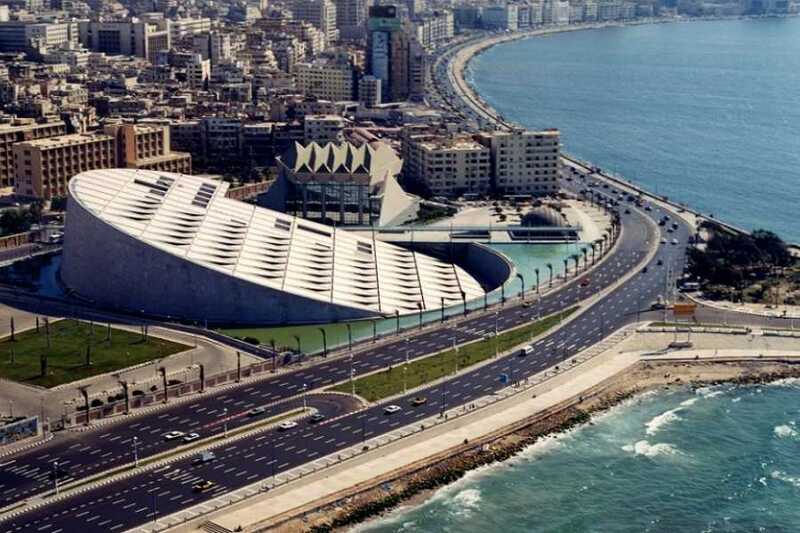 See Alexandria Library Visit the Quitbay citadel from outside as well as El Morsi Abu El Abass Mosque (Outview) and then return back to Cairo.